Whenever I have a chance to talk to my mother-in-law who lives in NJ of America in the phone, I like to ask her about the price of fruit and vegetable over there. It is because back then their prices always scared me. Okay, apples are cheap, but I couldn't just live on them. I loved apricot and fresh figs, but forget it since there's no way I could afford them. I even felt guilty if I bought more than 2 red bell peppers which cost 3.99 or up high to 4.99 per pound. Now my mil asks me how much for this or that, I'd say I'm not sure... I only know they are all real cheap so I even don't bother to look for the price tags. When strawberries were in season, people actually carried a whole tray away. We don't pick a few red bell peppers, we fill them up a whole bag... such and such... I just feel that they are essential food, if the manufacturers are already able to make giant tub of junky snack or 2 liter of soft drink under 2 dollars, they should have a way to set an affordable price to most fruit and vegetable too. Oh well... back to the lovely green figs, we don't stuff them in bag, vendors would gingerly place them in a nice plastic tray for us. The purple figs and the green figs are the same sweet, for me I find the latter more refreshing and I can eat the skin as well. Green figs only appear in market for a very very short time that makes me treasure them even more. I understand you. Back in melbourne, the food price was cheap so I did not care much. But price for basic food in Sydney is so expensive, I actually have to care about what I buy. The idea of potato scone is nice, Gattina! And I love figs. Never pay for them though since my MIL's neighbours have plenty! A delightful combination! Really scrumptious! Oh, how I would love to live in a place where we could grow figs. They are very expensive here, and often not very good quality. 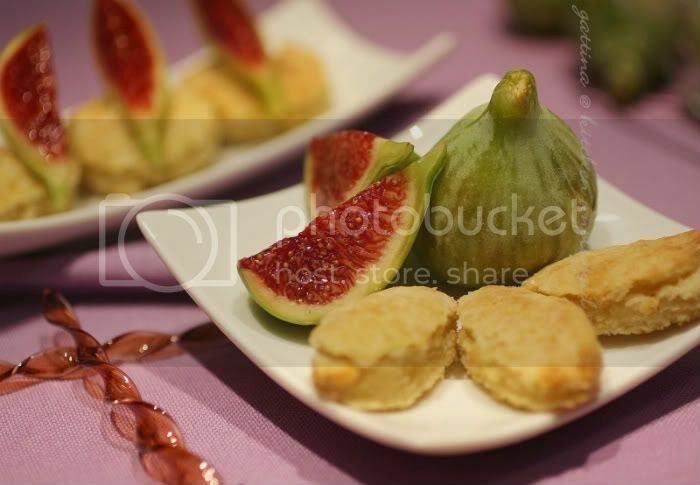 Those scones look so good and the color on the figs is just beautiful! I am actually finding that moving to NYC has made fruits and vegetables cheaper for me - provided I'm creative in my shopping (I spend a lot of time with Chinatown street vendors and at the Greenmarket every weekend). Then again I lived up in the very north east before and not a lot of variety grows up there. Beautiful, just beautiful. I love the colour contrasts, and am with yopu on food price comparisons. Am doing it all the time, & look for good foodie deals. Am eternally envious of green figs, as here we get only dried figs! I like the scones as well. YUM!! Beautiful photos & this makes me very hungry! The scones look so good. I'd love to make them. Could you post the recipe, please? 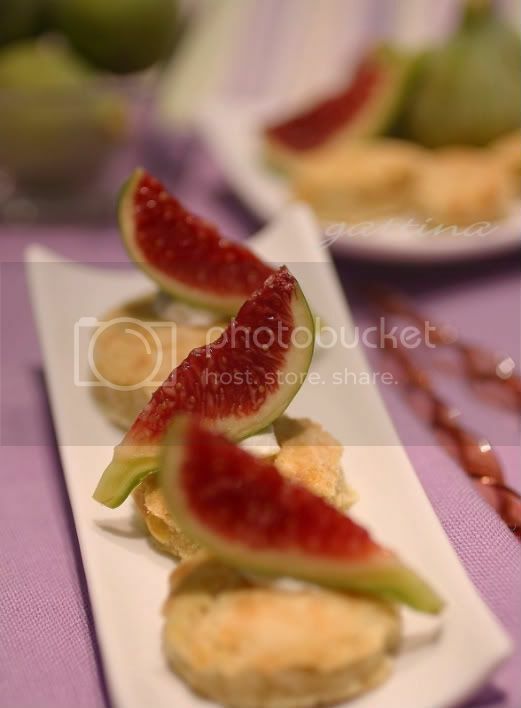 Green figs are such a treat! Well, my MIL lives in the States, and we still talk about food prices. CA prices are a lot higher than RI. I just love the idea of a savory scone topped with figs. Leave it to you to come up with some innovative and beautiful. I wish I could have sent you some figs... We have 2 trees and thousands of figs. I agree, the prices of fruit and vegetables in the US is horrid. And so much of what is in the supermarkets is prepared (in boxes, just add water) food.